Michael’s latest accomplishment… His new Literacy Award for his autobiography, ‘Michael Dante-From Hollywood to Michael Dante Way.’ Please read the article below about it. Michael is now an Award Winning Actor and an Award Winning Author! 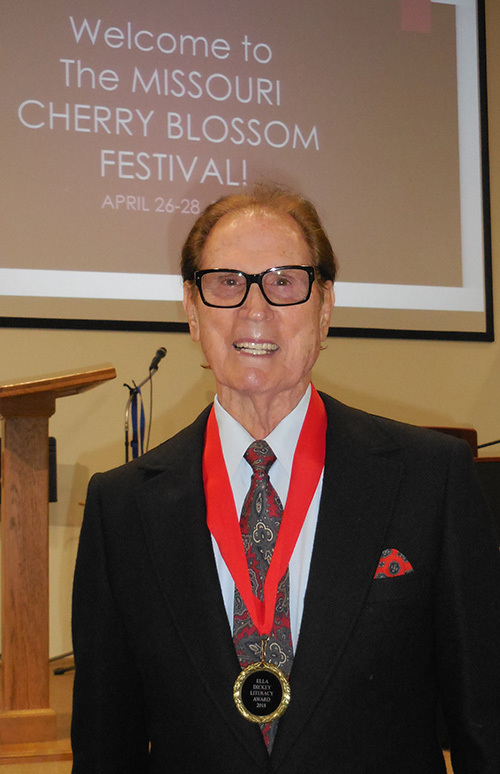 The 13th Annual Missouri Cherry Blossom Festival, in Marshfield, Missouri on April 26-28, 2018 was legendary! There were many fabulous highlights, including the presentation of the Ella Dickey Literacy Award. This award is presented annually in honor of Marshfield’s first librarian, Ella Dickey, who served in this capacity for over 50 years. Six national authors are chosen every year; those that have contributed to the preservation of history. The first award was presented in 2002. Award Winning Actor /Award Winning Author Michael Dante, received this prestigious honor for his autobiography, ‘Michael Dante-from Hollywood to Michael Dante Way.’ Other award recipients were William Anderson, Ginger Alden, Carter Taylor Seaton, Dorothy Padgett and Mother Dolores Hart. Michael and Mother Dolores had not seen each other in 40 years, since their days working in films in Hollywood. Michael Dante’s entertainment career has continued for over six decades and Actress Dolores Hart became a nun. 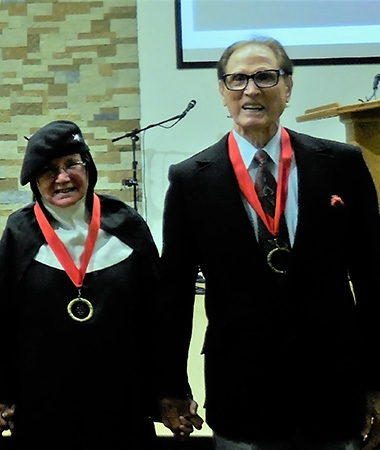 Mother Dolores received the Ella Dickey Literacy Award for her autobiography, ‘The Ear of the Heart’, An Actresses’ Journey From Hollywood To Holy Vows.’ It was a heartwarming reunion between Michael and Mother Dolores, sharing in the honor of receiving this outstanding Literacy award. These are the things legends are made of.